The Gulf Coast Rays lost to the Gulf Coast Twins 4-3 in extra innings on Thursday afternoon in Fort Myers. 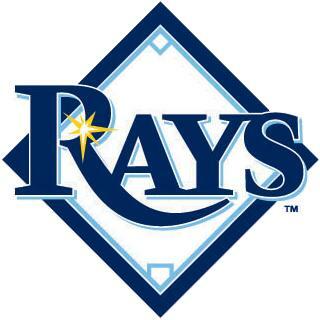 The Rays took the lead in the first inning when Edward Dorville homered to left field to put the Rays ahead 1-0. The Rays added another run in the second inning. Ryan McCran doubled on a line drive to center to lead off the inning. He would advance to third on an error then later score on a sac bunt by Seth Henry to increase the lead to 2-0. Both staffs kept additional runs off the scoreboard until the eighth inning when the Rays struck again. Henry drew a walk then advanced to second on a sac bunt by Cristian Vasquez. Henry stole third and then scored on an RBI dingle by Dorville to increase the lead to 3-0. Wild pitching in the bottom half of the eighth led to the Twins reaching the scoreboard. Matej Hejma singled to left to lead off the inning. JaDamion Williams followed with a walk. Both runners advanced on back to back wild pitches by Eduar Quinonez, scoring Hejma and moving Williams to third. Williams would then score on an RBI double by Candido Pimental to put the Twins within a run of the lead, 3-2. The Twins tied the game in the bottom of the ninth. In Kyun Kang singled to center to get things started. Nick Lockwood entered the game as a pinch runner and advanced to second on a wild pitch. Lockwood would then score on a line drive by Hejma to force extra innings. It only took one extra frame to determine the winner. Yorby Martinez singled on a bunt to get the tenth inning rally started. Martinez advanced to second on a single by Niko Goodrum. Kelvin Silvania drove home the winning run with a double to center, scoring Martinez and giving the Twins a 4-3 victory. Albert Suarez pitched three innings in a rehab appearance, allowing no hits and striking out three in the process. Eduar Quinonez allowed 2 runs on 7 hits with 2 strikeouts and a walk in 4 innings on the mound. Justin Hall suffered the loss, surrendering 2 runs on 5 hits with 2 strikeouts in 2 1/3 innings. The Rays travel to Sarasota to face the Orioles on Friday. Why havent Spann and K James pitched much lately? K James had 1 bad start and Spann to my knowledge hasnt pitched yet. Spann is almost certainly on some kinds of innings limit as a high school draftee. I agree with you on James though, it is a little odd that he has only made the one appearance.